I was reminded of that role while reading Valerie Hemingway’s Running with the Bulls: My Years with the Hemingways (New York: Balantine Books, 2004). First, a disclosure: I don’t find Hemingway’s work very interesting and appear incapable of finishing anything he wrote, but I am fascinated by accounts of his life, which presents such a wonderful summing up of the male, American ethos in the twentieth century, with all its hopes, fears, and pathologies. (And he sure met lots of interesting people.) At first sight, Valerie Hemingway’s memoir does not add much to the well known story: we get the same anecdotes about Hemingway and Joyce stumbling up the stairs of a Paris apartment building, to be met by Joyce’s wife, Nora, with the words: “Well, here comes James Joyce the writer, drunk again, with Ernest Hemingway.” We get lots of bullfights, endless talk about war and guns and fishing and big game hunting. Followed by a lot of drinking, by more bulls, and so on. You get the picture. Valerie Hemingway had the dubious honor of being Hemingway’s last ingénue. The older the man became, the more he was inclined to seek the company of young, impressionable girls, whom he could regale with his stories and teach about life, war, guns, and of course, bulls. Valerie Danby-Smith was nineteen, raised in an Irish convent, when she met Hemingway in Spain in 1959. Hemingway took her immediately under his wing and throughout that Dangerous Summer they were inseparable, while Mary Hemingway, the writer’s fourth wife, looked on in resignation, for she had seen this sort of thing before. Although Hemingway did all he could to tie her to him, even hiring her as his secretary, Valerie eventually escaped his clutches, while the writer’s life spiraled down into depression, paranoia, and finally suicide, in 1961. (Five years later Valerie married Hemingway’s estranged son, Gregory). All of this made for painful reading and was not, I thought, particularly new. Yet toward the end of her book Valerie has some amazing stories for us. A few weeks after Hemingway’s death, Mary calls upon her to help with a formidable task: clearing out La Finca, Hemingway’s home in Cuba, chock full of manuscripts, letters, African spears, Aztec stone carvings, and paintings by Miró, Braque, and other artists from Hemingway’s stay in Paris before WWII. 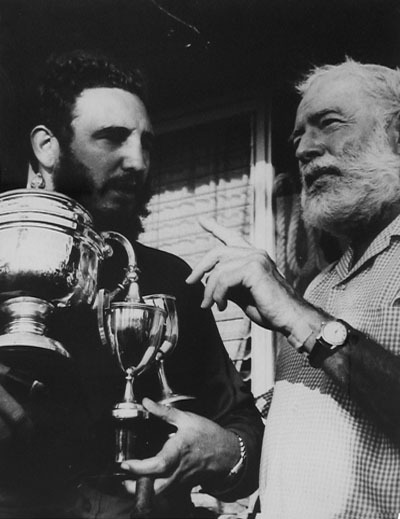 Fidel Castro’s revolutionary regime has effectively closed Cuba’s borders, and Mary gets one last chance to recover their belongings (Castro liked Hemingway personally and respected Mary a great deal). He [Fidel] was clearly fascinated with the variety of animal heads and skins visible in every room. “Are all these animals from Africa?” He was keenly interested and eager as a boy as we walked from the guest room and into the dining room, where again he wanted to know the origin of each animal breed. Were the animals related? He asked. Might some of them be imported into Cuba to help supplement the waning meat supply? What about the eland? He had picked up quickly on Mary’s remark that the eland was Africa’s best meat producer. “Why could we not import them to Cuba and set up eland farms to produce meat for ourselves?” His eyes widened when he stood beneath the American elk’s great horns—a trophy Ernest had bagged in the late thirties in Wyoming and which was a record at the time. What kind of animal would have such antlers? He leaned back against the table to get a better view of it. “¡Hombre!” he exclaimed (p. 183–4). an amazing collection of letters—happy, interesting, dull, sad, angry, and anxious ones; business letters, duty letters, letters from family, friends, fans, foes, admirers, detractors; letters handwritten, scrawled, neatly penned, typed, postmarked from the far corners of the world, dated one year or forty years before; letters in the library, the living room, the bedrooms, the garage, the guesthouse, the tower. Surely this must be the largest correspondence any man of letters had collected in a lifetime. (…) Mary decided she would attend to her own papers first while I sifted and sorted through all of Ernest’s notes, letters, and manuscripts, calling upon her if I had queries. (…) I became engrossed in this monumental task, sometimes scanning and making hasty decisions, at other times completely lost in the maze of words. It was hard not to linger over every scrap, to contain my curiosity about the contents. However, identifying the importance of each piece was paramount. I wondered what had become of the writers of some of those early letters. In the case of [Scott] Fitzgerald, [Gertrude] Stein, and others it was history, but there were also those whose only shade of immortality was the piece of paper I held. What had been their fate? Hold it right there, I wanted to say. Did Valerie just write that she, a 21-year old without much advanced education and with little knowledge of Hemingway’s world in the 1920s and 1930s, was responsible for sorting through the thousands of pages of Hemingway’s correspondence and decide what was “important” and should be “saved,” i.e. shipped to the U.S.? Yes, that’s what she says. True, there was Mary to consult with, but the latter had barely any greater expertise in Hemingway’s literary and artistic past, having met the writer for the first time only in 1944. Did they destroy any materials? Yes. Valerie describes the bonfire they lit on the Finca’s estate (of “magazines and newspapers, yellowing with age”), which also consumed a “small packet of letters with Ernest’s instructions [i.e. for destruction] attached” (p. 192). Later, back in the US with the paintings and selected papers stored in the Scribner building in New York, Mary hired Valerie to put them in order for the use of Hemingway’s first biographer, Carlos Baker, but she also asked her to remove “certain sensitive items” before Baker saw them. 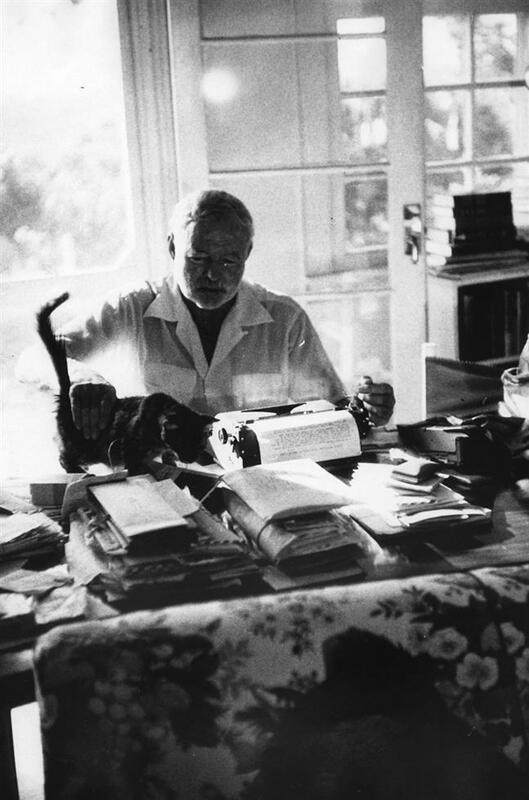 “I was familiar enough with the Hemingways’ affairs to know which items these were.” (p. 205). to quote Valerie again? Well, Cuba not being on this planet, everyone outside of Cuba has ignored them for more than forty years. As far as I can tell, none of the half a dozen or so major biographies of Hemingway mention the Cuban materials. They are not in Baker’s first, quasi-official biography, Ernest Hemingway: A Life Story (New York: Scribner, 1969), in Alan E. Hotchner’s famous Papa Hemingway (New York: Random House, 1966) in Jeffrey Meyers’ acclaimed Hemingway, A Biography (New York: Harper & Row, 1985), or in the five volumes of Michael S. Reynolds’ “definitive” biographical series, published between 1976 and 1999. They are not cited in either one of the two major books recently published on Martha Gellhorn, Hemingway’s third wife, a tremendously interesting figure in her own right: Carl Rollyson, Beautiful Exile: The Life of Martha Gellhorn (rev. ed. London: Aurum Press, 2001) and Caroline Moorehead, Gellhorn: A Twentieth-Century Life (New York: Henry Holt, 2003); nor is there any mention of them in Moorehead’s Selected Letters of Martha Gellhorn (New York: Henry Holt, 2006) although Valerie explicitly writes that “many of her [Gellhorn’s] letters remained in Cuba” (p. 224). In other words, almost half a century of writing about Hemingway’s life disregarded a significant part of the record. This will soon change. Through the courageous efforts of the Finca Vigía Foundation, battling the Cuban embargo, Cuban suspicion, and years of opposition by the Bush administration, some 3,000 pages of the records left at the Finca have recently been preserved and microfilmed. Since January 2009 these microfilm copies are available at the Kennedy Library of Boston, which already housed the bulk of Hemingway’s papers deposited by Mary in 1972–80. With the recent arrival of the copies from Cuba, I assume we can now expect quite a few new Hemingway biographies to appear. I am also curious to know more about the “massive collection of photographs—about three thousand, including several Robert Capa originals—that remained at the finca” (Running will the Bulls, p. 193), although the missing negative of this photograph is probably not among them. I should clarify that I don’t find fault, in any way, with Valerie: it appears she did a fine job of selecting documents despite impossible circumstances. As a matter of fact, trained historians facing daunting challenges in trying to save documents may not do any better. attic space, where I found some 300 linear feet of court files. My mission: determine which documents had historical value, transfer them to the national archives, and destroy the rest. In three days. Few people may realize that one of the chief duties of the public archivist today is to destroy documents. The volume of records generated by modern bureaucracies is so enormous that complete preservation is physically impossible and would pose insurmountable obstacles for later consultation anyway. The spread of digital media since the 1980s does not help, having added new problems of conservation. But how to decide, in a vast and largely uncatalogued mass of records, what is worthy of preservation for later historical use? In my case, the legal, evidentiary value of the documents was nil; but how could I know, at this point, what would be historically important, say, a hundred years later? One easy method is to take samples: from a series of tax records over the period 1920-1930, one could select all files for January 1920, February 1921, March 1922, and so on. But, as any ancient or medieval logician would have told you (this was a favorite conundrum of theirs), random samples are not representative of the whole if the collection is internally heterogeneous. Here, I was theoretically dealing with everything from prank telephone calls to suspicious deaths, with complex cases of domestic violence, traffic accidents, and workers’ riots in between. Since the whole notion of a representative sample was futile but the time alotted to me gave me a chance to at least skim each file, I decided to make a selection on the basis of a few obvious criteria: I would keep all files that, after a quick glance, contained physical evidence (mostly photographs), or pertained to either the contentious aftermath of the Second World War or to major political issues of the era. I kept everything that I, as a medievalist with just-about-average knowledge of the 1950s, thought was historically important. In other words, I acted more or less like Valerie did at the Finca in 1961. Did I make the right choices? Ask me again a hundred years from now. This entry was posted in Archives, Books, Castro, Hemingway and tagged WS by Walter Simons. Bookmark the permalink.